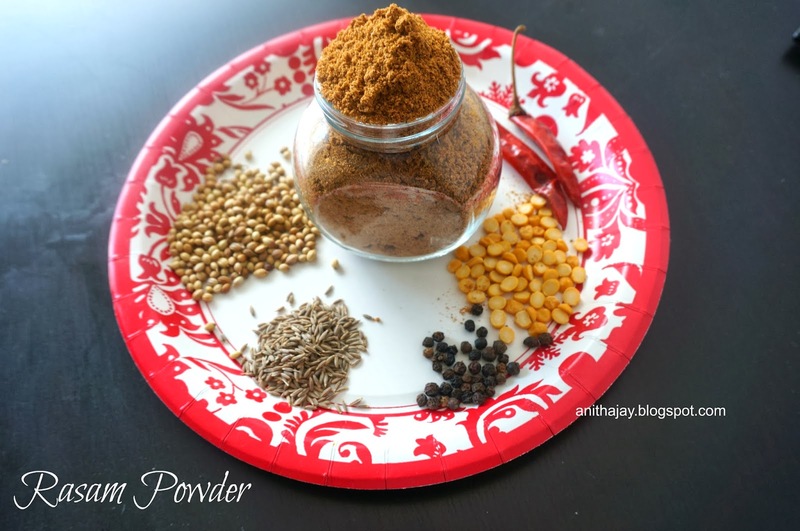 I won't prepare Rasam often.So i wont prepare batch of powder. when ever need it I will prepare freshly. But keeping Rasam powder in handy make your cooking easy. In a pan dry roast Channa Dal and red chilli until turns golden brown and keep aside. In a same pan roast coriander seeds , pepper corns and cumin seeds. Let it cool down and blend it in a blender.